The ISDK PABX series comprises 2 systems which cater for the small to medium size business sector. 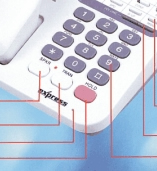 The systems are fully digital and have facilities for connection to Telkom ISDN lines providing users with individual direct dialing to their extensions without the need for any operator to answer the call. 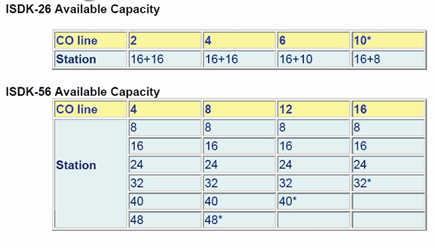 The Trunk lines (connections to Telkom) or extension lines can be expanded by adding trunk or extension cards according to the users' requirements. The extension cards for digital users are available in 4 port modules each port supporting 2 key terminals. Analog xtension configurations are available in 2,4 and 8 port variants each port provides connection for 1 analog telephone, fax machine, modem or other similar type peripherals requiring an analog interface.